Remember the past. Notice the present. And… the future? In the previous two posts we looked at how these are the two fundamental relationships we have with the past and the present – and we looked at some ways in which these two relationships contribute to us becoming more future smart. Now the question is: What then is our relationship to the future itself? If the past is about remembering and the present is about noticing, then what is the verb that we can fit into the space left open above? There is no shortage of verbs that express a possible way of relating to the future. Predict. Forecast. Anticipate. Scan. Expect. Envision. Frame. Create. Control. Shape. Fear. Look forward to. Plan for. Prepare for. At the core of all of these, though, is the mental activity of imagining. Whatever else we do with regards to the future – fear or look forward to, anticipate or control, prepare of plan for – at the core of it is the act of imagining: forming a mental image of something not present to our senses. What informs our imagination of the future? What is the story of the future that our imagination conjures up for us – good, bad, ugly, indifferent? What use are our imagined models of the future? What can we do with them? What use it is to spend time imagining the future when predicting the future has such a dismal track record? How can we discern helpful ways to imagine the future from not so helpful ways so imagine the future? Isn’t it better to just be in the present moment and not waste any mental resources on the future? We will spend the rest of our lives in the future. And so will our children – and everyone else on this wonderful and fragile planet of ours. For me this is the main driver for being more intentional about our relationship to the future. As the quote suggests, being a futurist is about paying attention to all the three time segments we’re continuously connected to: past, present and future. In this sense, we already ARE all “accidental” futurists. The question is: What is the quality of the attention we are paying to the past, present and future? And: What is our intention in doing so? Being a futurist requires us to be in conversation with ourselves, our world, and with others about the future we’re shaping. It is about conversations that influence what we do today, and how that will help shape the nature of the future. It is not about predicting the future and passively waiting for it to unfold. Being a futurist is learning about the world out there as well as learning about ourselves. Self-discovery and self-development in the context of engaging the future is futurist work that everyone who cares about the future need to take on as part of their responsibility. Bottom-line: Recognize that you already are an accidental futurist, and consider becoming more intentional about your futurist role. How might we become better futurists in our own lives? Looking at how professional futurists define their work can help us think about our role as futurists in our own lives. Here are a few perspectives from professional futurists that are worth considering for ourselves, as non-professional, yet intentional futurists in our own lives. A professional futurist is a person who studies the future in order to help people understand, anticipate, prepare for and gain advantage from coming changes. It is not the goal of a futurist to predict what will happen in the future. The futurist uses foresight to describe what could happen in the future and, in some cases, what should happen in the future. Most people use some sort of foresight all the time – something as simple as listening to the weather forecast to prepare for the next day. A professional futurist uses formal methods to develop descriptions of possible futures. The output of a futures study may include the driving forces, assumptions, evidence or indicators of the futures. A futurist is more likely to say how or why a future could appear rather than to say what the future will be. One of the founding principles of the field of futures studies is the idea of personal and organizational choice. Although the future is unknown, a person can identify possibilities, select the most favorable outcomes and attempt to influence events to create a desired future. By considering systems and human agency, futurists help identify choices that affect the future, for ourselves and future generations. When I overlay this description of what futurists do with the idea that we are all futurists in our own lives, five key ideas stand out for me. 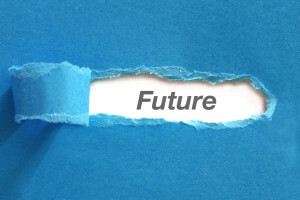 Being a futurist – professional or otherwise – is not about predicting the future. It is more about anticipating what could likely happen or about what we want to happen. From a coaching perspective, we are of course very familiar with this notion of getting clearer on our preferred future as a start for actively shaping it, rather than just waiting to see what unfolds. We are already futurists in our own lives – in small ways (and sometimes big ways). From acts as simple as packing an umbrella based on the weather forecast for the day to deciding to lower your debt load in anticipation of a rise in interest rates – these are all “future shaping” moves based on foresight. Taking on the role of futurist in our own lives in a more intentional way expands our ability to make good choices in the present to influence, shape and create our preferred future. It is a “choice enabling” move. Taking on the role of intentional futurist is about us and our lives, and it is also about the larger systems of which we are part. It is a way for us to place ourselves in the larger unfolding story of humanity. The purpose of professional futurists is to help people (and organizations and communities) “understand, anticipate, prepare for and gain advantage from coming changes”. This translates for me directly to what we gain from being more intentional futurists: understanding, anticipating, preparing for and gaining advantage from changes in our context that might impact us. This may involve actions we take in our “outer world”. Crucially, though, this might also involve our inner world. Being able to take advantage of coming change will most likely also involve internal changes – learning at different levels, developing and enhancing amplifying certain capabilities that will allow us to thrive in future times. Better understanding and anticipation of changes that might be coming our way. Preparing for what may come – including growing those inner capabilities that will be required to thrive in the future, and that will allow us to take advantage of changes happening around us. That, in essence, is the work of being an intentional futurist in our own lives.